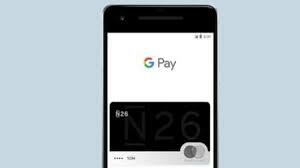 •"The train ticket booking feature addresses an important need for Indian users, right within the app and is another step to making the lives of our users easier and more convenient with Google Pay," said Ambarish Kenghe, Director, Product Management, Google Pay. Under the booking page, you'll be prompted to enter IRCTC User ID, Passenger details, and Contact information. If you don't have an IRCTC account, you will have to create one. Once everything is completed, tap on Continue. Select a payment method, tap on Proceed to continue and enter your UPI PIN. Now enter your IRCTC password, Captcha, and tap Submit to complete the booking.